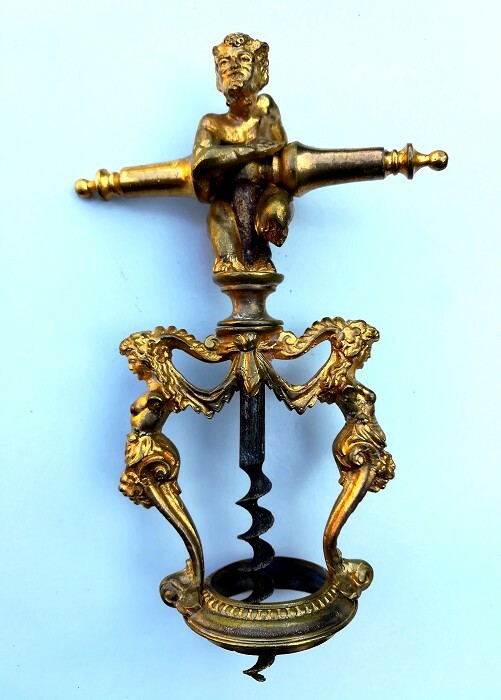 Cast brass (gold colour) satyr holding crossbar. Two caryatids on each form and support the frame and stand on bottle collar. late 1800s. I ship world wide at cost. I only ship with international signed for service of Poste Italiane, no others courier. I don't ship insured. No exception, if you bid means you accept my payment & shipping conditions, thanks.